---Since the 1970s, Japanese archaeologists have searched the waters off their southeast coast for remains of the warships sent in 1274 and 1281 by Mongol Emperor Khubilai Khan to conquer their island. Lost both in battle and wrecked in 1281 by a violent storm which Japanese legend insists was a heavenly mandated divine wind known as the "kamikaze." these vessels were lost to history and largely forgotten until the events of World War II and the revival of the story of the kamikaze. Japan, Vietnam, and Java. Photo courtesy of KOSUWA & the Takashima Board of Education. Finds of relics from Khan's flotilla created world headlines in the 1970s, but the actual eluded discovery. In 2000, Japanese archaeologists finally located the broken wreck of one of the Khan's fleet. 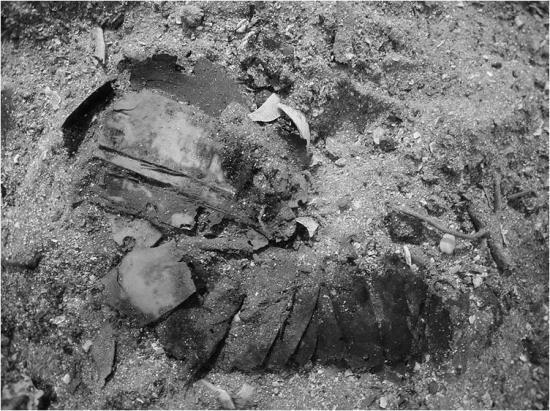 The following year, James Delgado became the first western archaeologist to join the Japanese team as they excavated and recovered the remains, which included armor, weapons, personal items, and evidence of massive, sophisticated armada with catapults which fired explosive bombs. ---The story of the Mongol invasion of Japan is unforgettable. One giant armada attacked from China, a second from Korea. 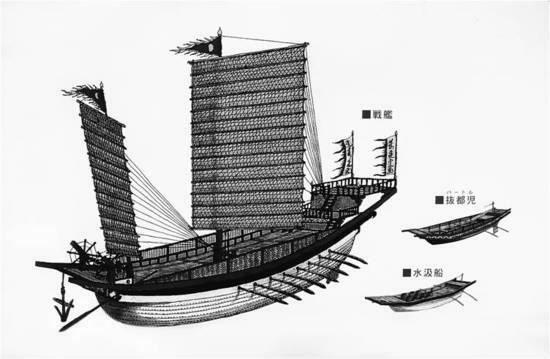 Although 700 years ago, the naval might was impressive: hundreds of gigantic ships with thousands of warriors. Yet, a "divine wind" - the Kamikaze - blew into the Mongol fleets, destroying them. Those sailor-soldiers that didn't drown from the weight of their armor were cut down on the beach by Japanese samurai. This happened twice, in 1274 and 1281. Japan was never attacked again until the U.S. tried to enter its waters around 1850 and then bombed it at the end of WWII. --- In China, it was the Yüan period (1279-1368), in Japan the Kamakura period (1192-1333), and in Korea the Kōryo Dynasty (935-1392). The Mongol attack was against the southern Japan - near the city of Fukuoka then known as "Hakata," which I have visited. 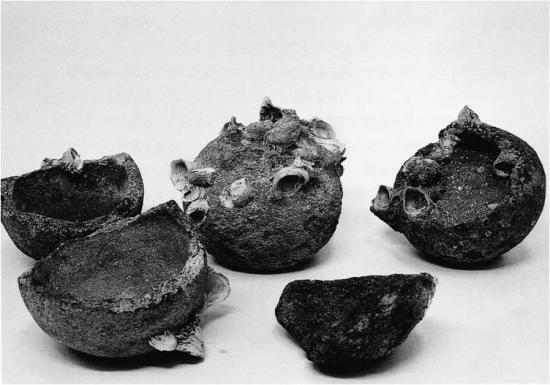 These ceramic shells, some intact, are the world's oldest known seagoing bombs. technological advantage. Courtesy of KOSUWA and Takashima Board of Education. during excavation. Photo courtesy of KOSUWA and the Takashima Board of Education.